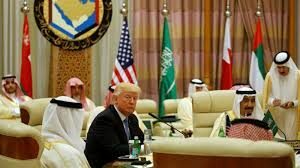 Trump tells Middle East to step up in fight over ‘Islamist extremism’ – Royal Times of Nigeria. United States President Donald Trump has called on Arab leaders to do their share to fight “Islamist extremism”. He made the call today in a speech that put the burden on the region to combat militant groups while urging unity among religions. Trump, who generated controversy with his push to ban many Muslims from entering the United States, described the fight against terrorism as a battle between good and evil rather than a clash of civilizations. His speech did not include the controversial phrase “radical Islamic terrorism”. In the past, he has criticized his predecessor, Barack Obama, and others for not employing these terms, considered offensive by many Muslims. 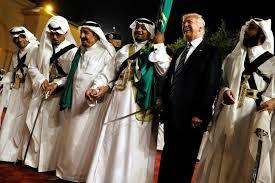 Trump received a warm welcome from Arab leaders, who set aside his campaign rhetoric about Muslims and focused on his desire to crack down on Iran’s influence in the region, a commitment they found wanting in Obama.